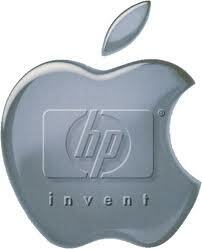 HP Tablet fails, now who can challenge Apple ?? The sudden demise of Hewlett-Packard Co's WebOS TouchPad after just seven weeks on shelves was a reminder of how tech giants have failed so far to take a bite out of Apple Inc's iPad. The non-iPad tablets just won't sell at retail. That's the clear message from events over the past few days," said Mark Gerber, an analyst at Boston research and investment firm Detwiler Fenton. Other tablets that have failed to click with consumers include Asustek Computer Eee Pad Transformer and the Xoom from Motorola Mobility, which Google Inc plans to buy. Research in Motion's PlayBook received scathing reviews and sales have been slack, but it will probably survive since it is key to RIM's strategy. I do not expect RIM to be shutting down PlayBook sales any time soon or abandoning that platform, because RIM views it as its future," said Colin Gillis, an analyst at BGC Financial in New York. Apple's rivals have not fared any better in designing software for tablets. Apple's iOS tablet software accounted for 61.3 percent of the tablet market in the second quarter, more than double the 30.1 percent share held by Google's Android, its nearest competitor. Microsoft held a paltry 4.6 percent share and RIM 3.3 percent, according to Strategy Analytics. But the landscape could soon change. Google's move this week to buy Motorola Mobility, a hardware manufacturer, has also potentially raised the stakes against Apple as it will give the Internet leader devices to showcase its software -- just as Apple does. All eyes are now on Google's "Ice Cream Sandwich" system, which will unite the Android software used in tablets and smartphones. That is expected to encourage developers to flock to the platform and create better apps. Microsoft could also pose a threat when it releases its tablet software, code-named Windows 8, but this probably won't be until the fall of 2012. "The ecosystem built around Microsoft is the largest computing ecosystem out there, so this makes it the company most likely to get significant traction in the tablet marketplace," said BGC's Gillis. Microsoft has said the software will run on a range of devices from traditional PCs to laptops and tablets, and incorporate mouse and keyboard commands. Amazon.com, the maker of the popular Kindle e-reader, is also expected to announce plans to release a tablet this fall, providing a challenge to Apple. The Amazon offering could be a "game-changer," Colin Sebastian, an analyst at Robert Baird & Co, said in a recent note. The tablet will likely feature Android's Honeycomb OS system, a 7-inch screen and priced under $300, he said. Sebastian forecast sales of up to 3 million units in the first year and said they would eventually outsell other Android-enabled tablets from Motorola and Acer, and could potentially surpass Samsung's Galaxy Tab. Amazon's as-yet unnamed tablet poses a significant threat to Apple because of the Kindle's popularity and the movie and music services the company sells. Analysts also expect Amazon to subsidize the tablet's price, which could also boost sales. "Amazon is widely viewed as a wild card. It has the potential to be disruptive," said NPD analyst Ross Rubin. The crowded market has not discouraged Sony Corp either. The consumer electronics giant is going full steam ahead with plans to release its first two tablets in the fall. We're going to see many competitors come and go," a Sony spokeswoman said. We're going to bring the best of all of the assets at our disposal to bear: hardware, content and network services.